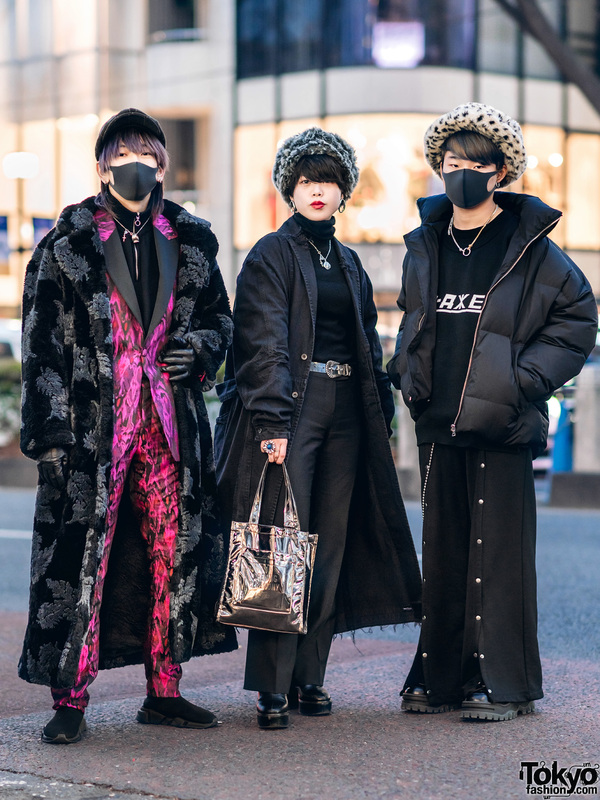 Harajuku dancer sporting an all black faux leather street style w/ studded jacket, sequin turtleneck top, cutout pants, fishnet tights, sneakers and a snakeskin waist bag. 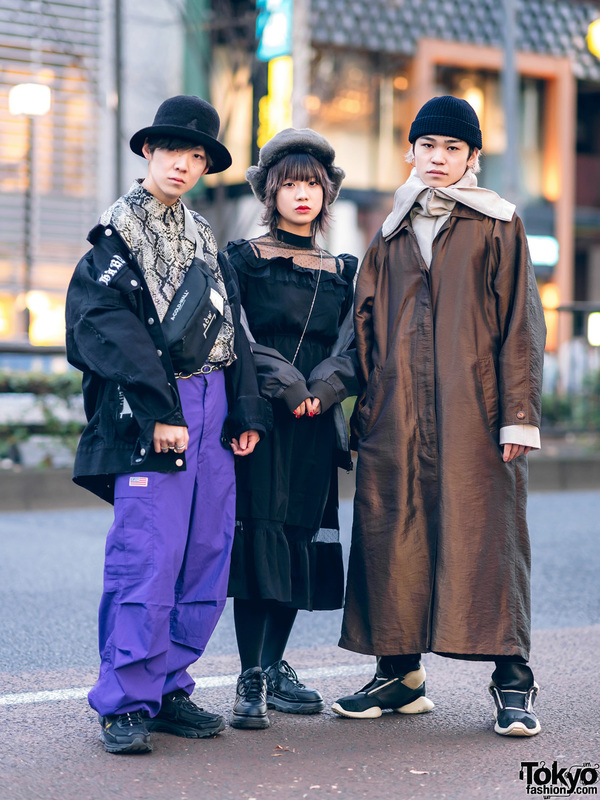 Harajuku duo sporting interesting streetwear styles with plaid jacket, white pants, long coat, linen pants, backpack and leather clutch. 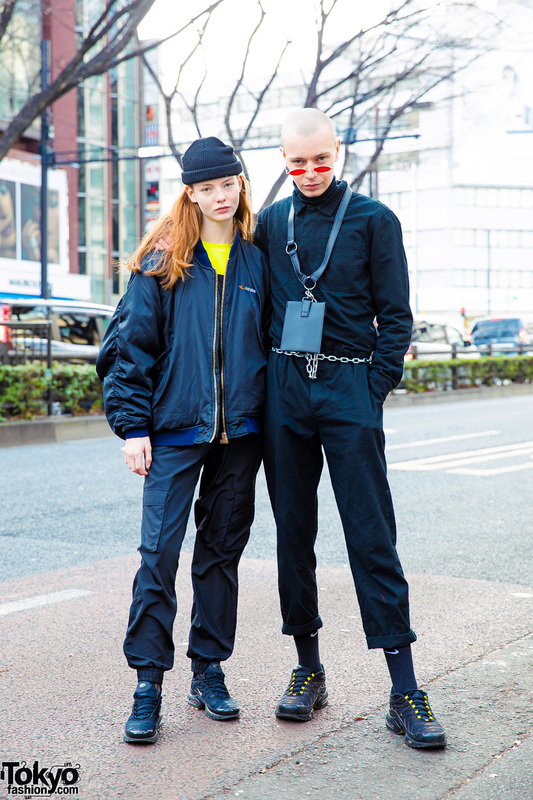 Stylish duo sporting all black streetwear styles while out and about on the Harajuku street. 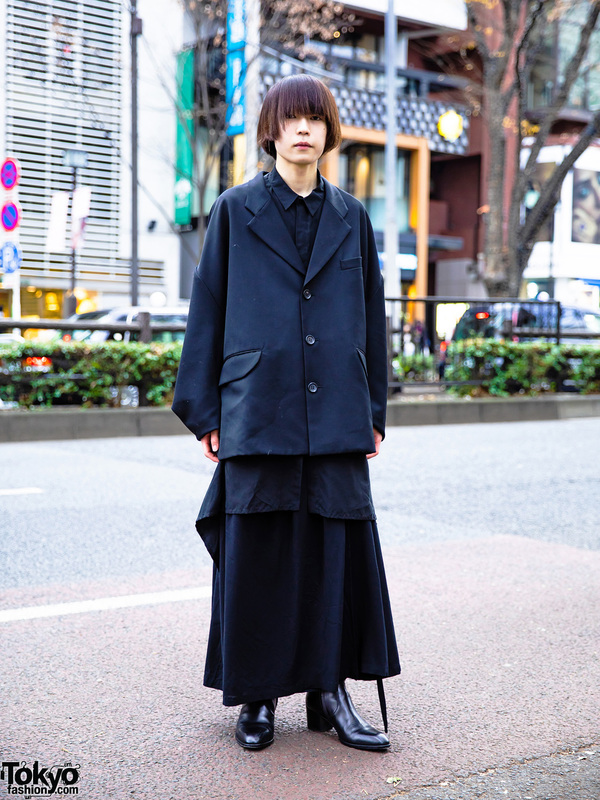 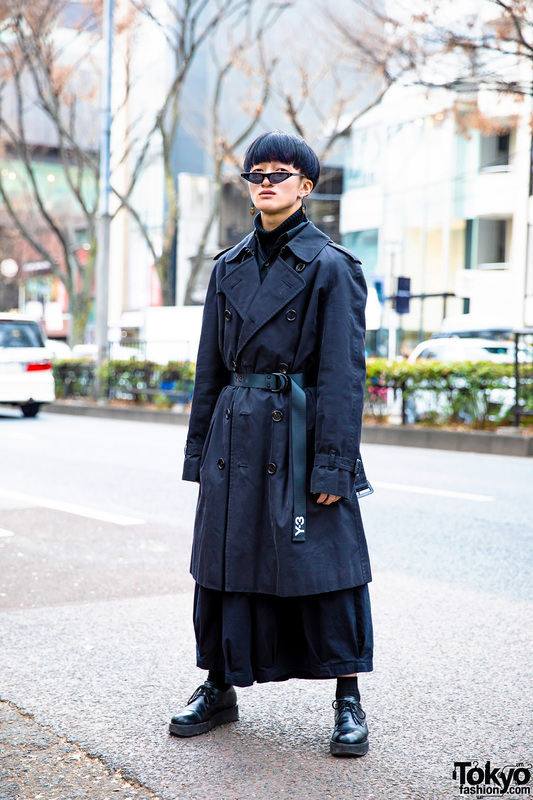 Japanese student in an all black street style w/ trench coat, layered tops, wide leg pants, lace-up leather shoes and accessories.